I had many request to update this very popular skin, so I did a major update. Many parts corrected, other parts altered and 2 substyles for light and dark backgrounds/wallpapers added. 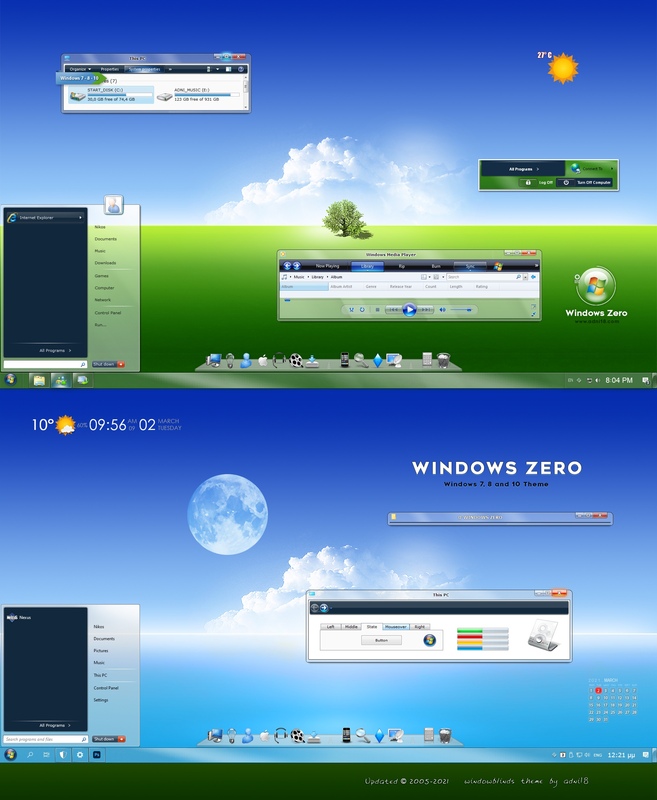 Now works fine with all versions of Windows ( XP, Vista, 7, 8, 8.1 and 10 ). The original skin name was 7 Plus, I changed it for several reasons. 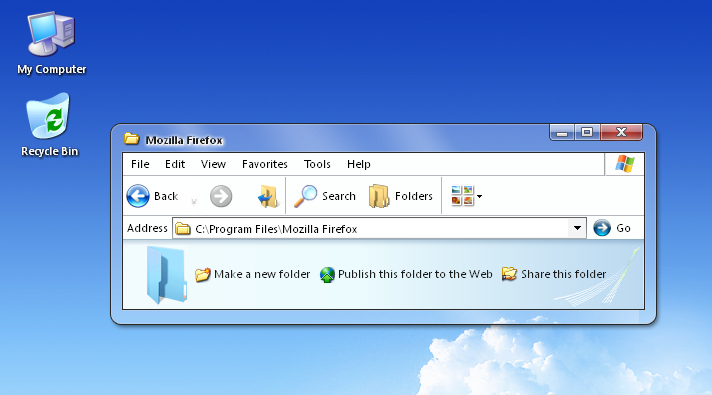 The dock and the icons are included in the zip file. Fantastic skin, I love it... But I have just one problem, and it seems to repeat with every single Win7-based WB I've tried out (not just this one): How can I fix this? I love this skin but it has one big issue: I have Windows Vista and the right side of the Start Menu (the side with "Computer", "Pictures", "Documents", etc is too transparent. So transparent that the text is very difficult to read. I have re-adjusted my transparency to skin default, but the issue remains. Can this be fixed? Thanks! added note: yes I am aware that what is behind it has an impact on the readability of the text, but on all completed skins, you will notice that regardless of what you have as your background, the Start menu text is always readable. Including the WIN 7 beta. Yes, that's right BeLGaRaTh67 Thank you! Diamond12a Please read what BeLGaRaTh67 has wrote above. i have the same problem . so i switched to classic view , and it looks just fine that way . excellent skin , really out does the others . the only thing is maybe make the toolbar area a grey color or something instead of white . still really out does the other win 7's out there . Wow.. Just simply outstanding! This is like a breath of fresh air... This one is gonna be on the desktop for quite a long time! Thanks mate! Just registered to add a few words as I'm a big fan of Adni's works. I really like this skin, and I'm a fan of the Win7 look (which no doubt I'll want to change within moments of installing Win7 final), but this has a few problems which should really be addressed as it's pretty much unusable at the moment. The main problem being that without blur on the taskbar, start menu or window borders it makes reading any text that is on a transparent part almost impossible on a variated background and the buttons are hard to see. And the globe appears to be missing it's transition animation on mouseover, but that's a very minor thing. Also, I get the same problem with the common tasks panel screen captured above by Gornot, I've got a feeling it may be something to do with skins which place the bar across the top of a window, Royal Vista has this style. Perhaps some way to flush this between installing skins? All in all a very nice skin in need of a few little tweaks. Thanks Adni! Congrats This is an excellent piece of art !! it fit my XP machine better than some of the other "Window 7" skins... you've always come up with great work! !